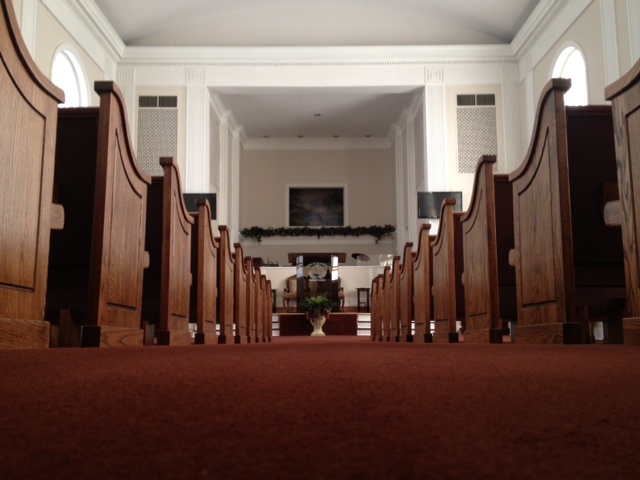 Throughout the years that we’ve been building church pews, we’ve gotten to know a lot of churches across the country. For us, it’s a pleasure to be able to help churches get what they need at a price that’s within their budgets. One church we recently worked with was in Morgontown, North Carolina and we’re pleased with the result and that we helped the church stay in budget. The church was in need of ten additional church pews that matched their existing pews to freshen up the church a little bit. But when they started talking to our pew experts here at Born Again Pews, we asked them why they weren’t considering all new church pews instead of just a few new ones. The truth was they didn’t think it was in their budget to buy all new church pews for their sanctuary. Fortunately, we were able to help them reach their goal by getting a little creative with their existing church pews to help them stay in budget. What might not be the best church pews for your church might be perfect for another church just starting out or one that can’t afford new pews but needs something better than what they have. Since this church had a number of church pews in great condition but not enough of them for their needs, they had the option of selling the church pews to recoup part of the cost of new church pews. In the end, what they gained in profit from the old church pews paid for the difference between ten new pews and a whole new church worth of new church pews. Instead of having new church pews that look as close as possible to the originals, the church has a new lease on life with matching brand new custom made church furniture. You can read the testimonial from Pastor Darvy H on our testimonials page along with plenty of others that should give you a vote of confidence in our church furniture and business practices. If you’re considering new church furniture, give us a call or get a free quote and see just how affordable our church furniture is.